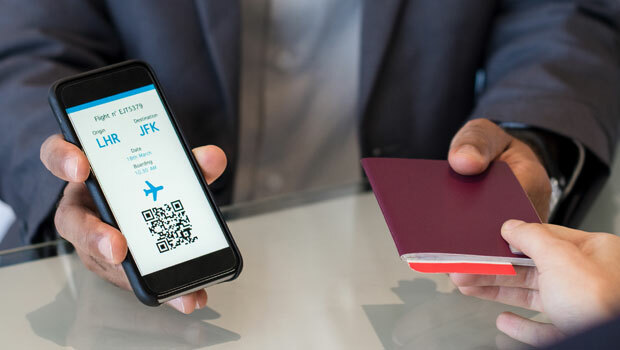 The e-ticketing systems of eight airlines, including Southwest Airlines and Dutch carrier KLM, have a vulnerability that can expose passengers' personally identifiable information (PII), mobile security vendor Wandera reported Wednesday. They use unencrypted links that hackers can intercept easily. The hackers then can view and, in some cases, even change the victim's flight booking details, or print their boarding passes. "Wandera investigated the e-ticketing systems in use by over 40 global airlines," said Michael Covington, the company's VP of product. "Only those organizations that had adequate time to respond to our responsible disclosure are included in the list of affected airlines at this time," he told TechNewsWorld. The company has been communicating with "some of the affected airlines" but has not been able to verify that any fixes have been implemented, Covington said. "This vulnerability does not require a man-in-the-middle attack or malware installation in order to be exploited," Covington said. "Anyone using the same network as the passenger -- wireless or wired -- would be able to intercept the credentials for the e-ticketing site." Airlines "should never give out links in email which present PII data without authentication," said Anthony James, chief strategy office at CipherCloud. "This just doesn't make sense to us," he told TechNewsWorld. Different airlines' systems expose different types of data. After accessing a passenger's check-in, the hacker not only gains access to the victim's PII, but also can add or remove extra bags, change allocated seats, and change the mobile phone number or email associated with the booking. The questionable quality of boarding pass screening at the gates of some airports raises the possibility that a hacker or criminal could print a victim's boarding pass and try to board a scheduled flight with it, Wandera said. On the other hand, hackers go for targets that offer a high return on investment, CipherCloud's James pointed out. "Intercepting the email with the ticket link gets the PII of just one traveler." Further, "everything depends on a boarding and a picture ID to get past security," James noted. "The picture ID remains the backstop of the security procedure." "Network traffic is more easily intercepted on an unencrypted wireless network or on a typical wired hotel or office network," Wandera's Covington pointed out. It is "more challenging for an attacker to observe connections taking place over a carrier network," he noted, but airlines should "address some fundamental security issues" themselves. KLM and AirFrance "are closely integrated as part of the same company," noted Colin Bastable, CEO of Lucy Security. They partner with Delta Airlines through SkyTeam, "introducing a potential third-party risk to the United States domestic market via Delta's eight U.S. hubs," he told TechNewsWorld. Code-sharing with Air France and KLM "might have expensive consequences for Delta should a data breach occur as a result of this problem" said Bastable, because GDPR regulations "take a bite out of global earnings for data breaches." Further, new compliance regulations proposed in the U.S., such as the American Data Dissemination Act and the California Consumer Privacy Act of 2018 may make vendors liable for penalties and violations if they expose PII data without requiring authentication, CipherCloud's James said. "If the link takes you directly to the passenger name record without login, it's absolutely a potential problem," CipherCloud's James said. "You must always require login and authentication." Passengers on the eight airlines named "should print their boarding pass at home," Lucy Security's Bastable suggested, "and avoid using mobile check-in at the airport."